Guestboard | Group Events, Simplified. 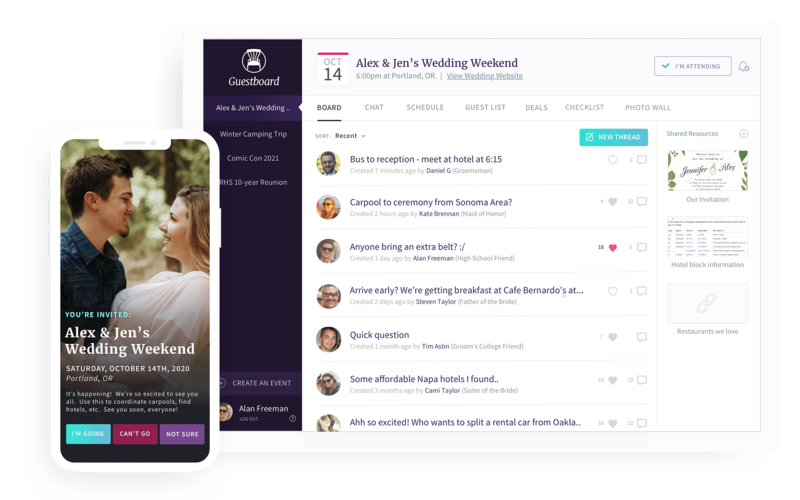 Guestboard is a free, customizable event platform and communication tool â€“ designed with groups in mind. Let your guests see who else is going, coordinate, and save some cash! Adios, massive email chain! 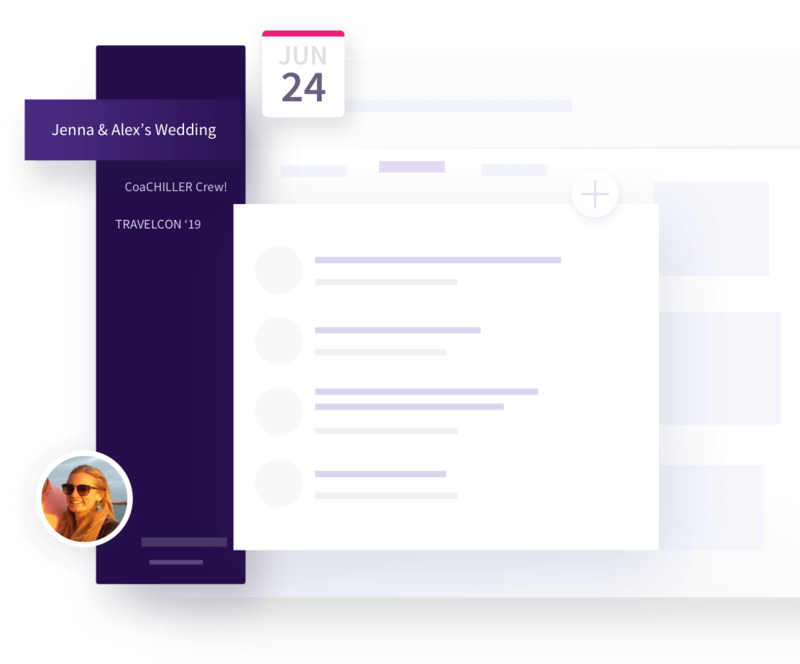 Keep your group organized in one private platform. ...same description as bachelorette parties.. but for the dudes. Crew getting bigger every year? Arrange carpools, share gear lists, and more. A transparent guest list and organized message board means everyone stays up-to-date. Create new threads for planning carpools, splitting costs, and building excitement. 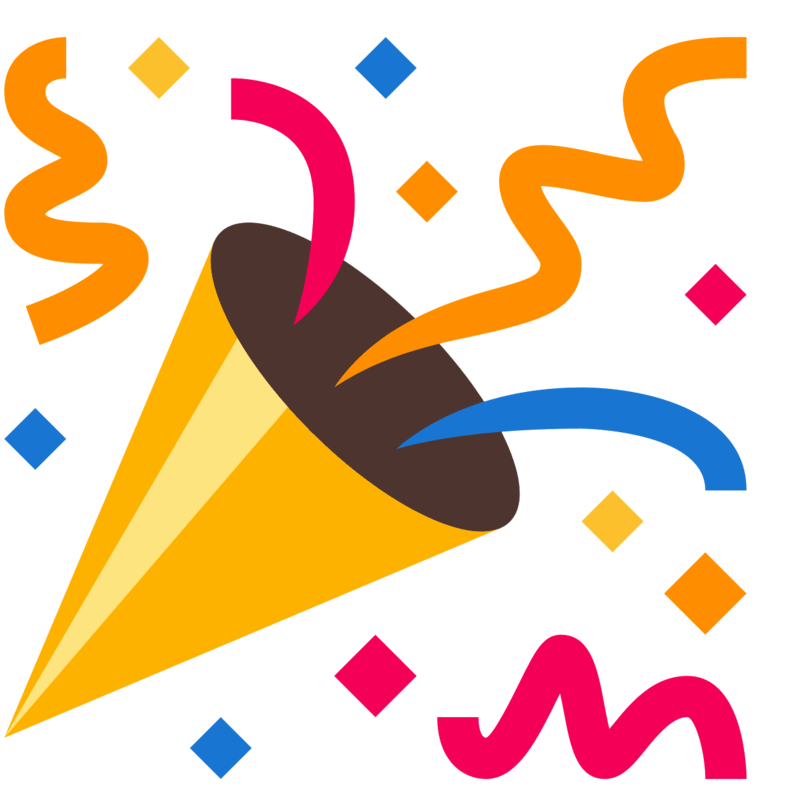 Create a new event in a snap by choosing or uploading your own image. Sync your contacts (or share your private event link), and you're ready to go! Your Guestboard is your own - activate (or hide) any number of available features. Depending on your event type/location, explore our partner discounts on things like group transportation, suits/apparel, local establishments, and more! Interested in becoming a Guestboard Deals partner? We're not your mother's Evite. Join the beta, grab some friends, and start enjoying more organized eventsâ€“ together.